If you are receiving the error ‘Apple driver hasn’t been found’ while attempting to jailbreak iOS 8.4 via TaiG, it’s more than likely that you’re using the Windows 64 bit version and require the iTunes 64 bit driver. That’s correct. TaiG 2.1.3 and 2.2.1 is compatible with the latest iTunes version and doesn’t require you to downgrade to iTunes 12.0.1 version. However, users with Windows 64 bit version might still receive the error, as is evident in the screenshot, when using TaiG to jailbreak their device. Step 1: Ensure that your latest version of iTunes is the 64 bit variant. If you don’t have it, you can download iTunes for Windows directly via Apple’s website through this link. Step 2: Download the driver for iTunes (64bit) iTunesDriver64_0205.exe from this link and install it on your PC. Step 3: Download the latest TaiG version from our downloads section. You can download TaiG 2.1.3 for jailbreaking iOS 8.3 firmware. 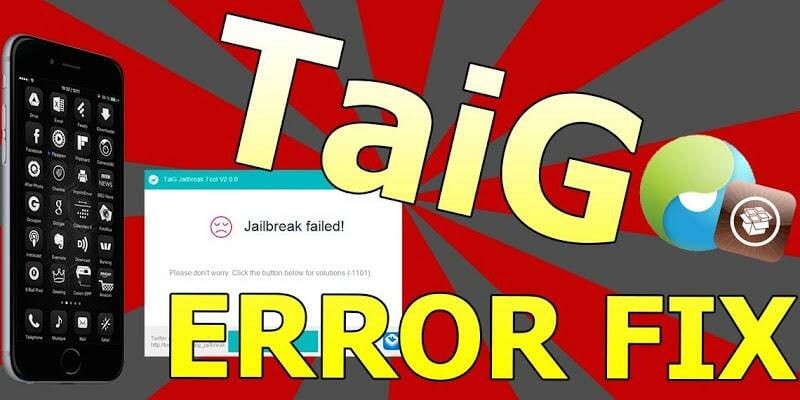 With TaiG 2.2.1, you would be able to jailbreak iOS 8.4. Step 4: Start TaiG and jailbreak your iDevice. Then the error ‘Apple driver hasn’t been found’ won’t display on your screen. Did these instructions fix the error for you? Or are you still receiving it? Feel free to share your thoughts in comments below.